Are you interested in throwing a fun and unique open house! We have all sorts of tips for making your open house stand out! 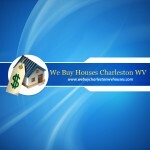 When you are ready to sell your Charleston WV house, send us a message or give us a call! We can’t wait to talk to you! When Is The Best Time to Sell Your Home in Dunbar, WV?